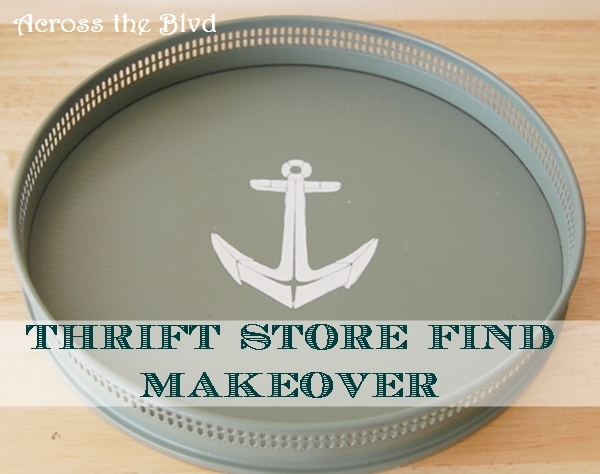 This was such an easy repurposing project, but it's one that gives a whole new look to a tired looking wall plaque I found at a local thrift store. 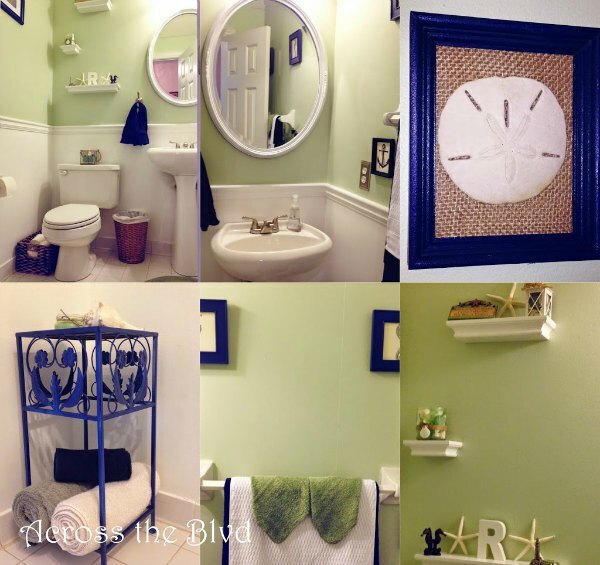 Chalk paint and a stencil gave it some coastal flair. . . .
Pumpkins and Sea shells? Yes! 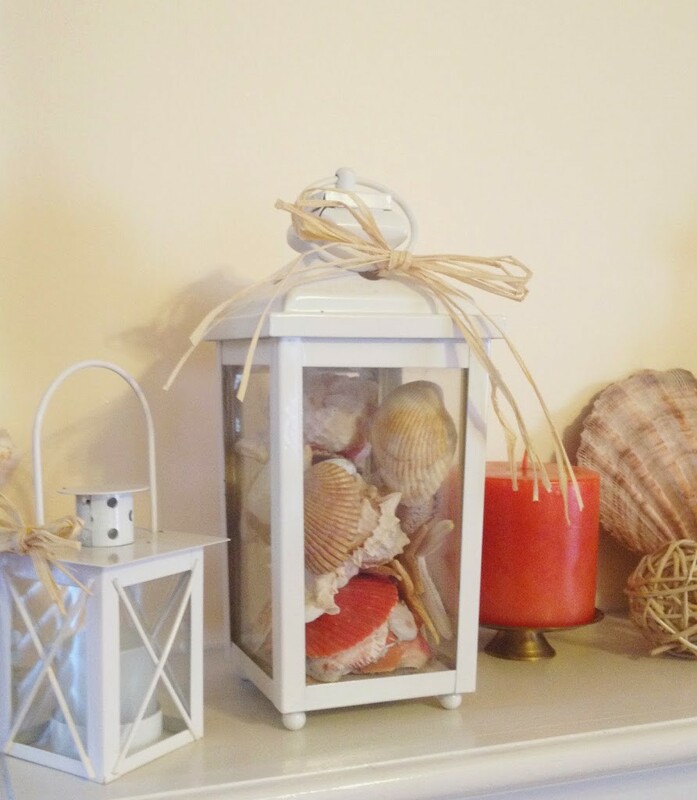 If you're going for coastal autumn decor, they can go well together! 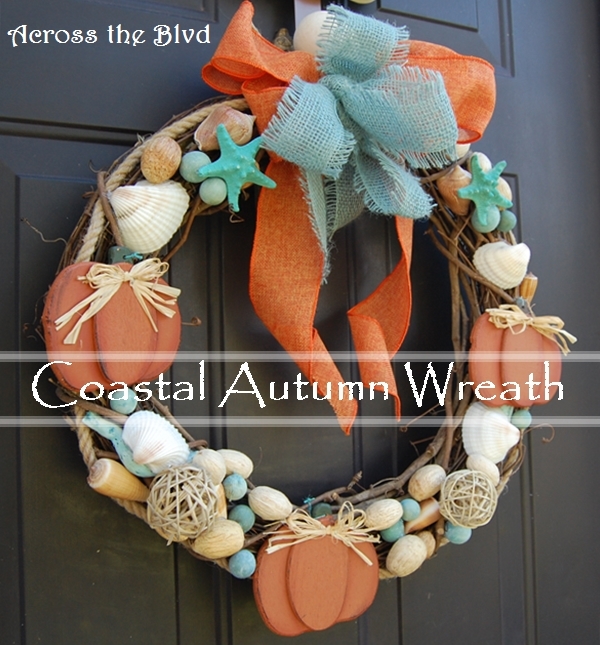 I decided that since I was going coastal with my fall decor, it needed to begin at my front door. 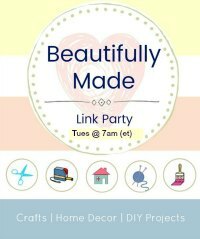 This is an easy DIY wreath that can be made in under 30 minutes. . . .
My latest thrift store find is a simple DIY makeover for an ugly tray. The pretty part of the tray? It was twenty-five cents! 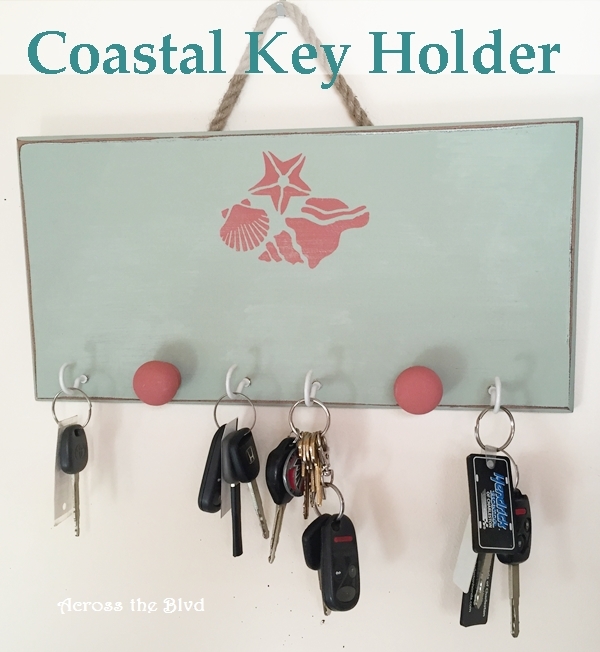 A little spray paint, chalk paint and a stencil and it went from old and ugly to fresh and coastal. Not only was this super cheap, it was also super easy! . 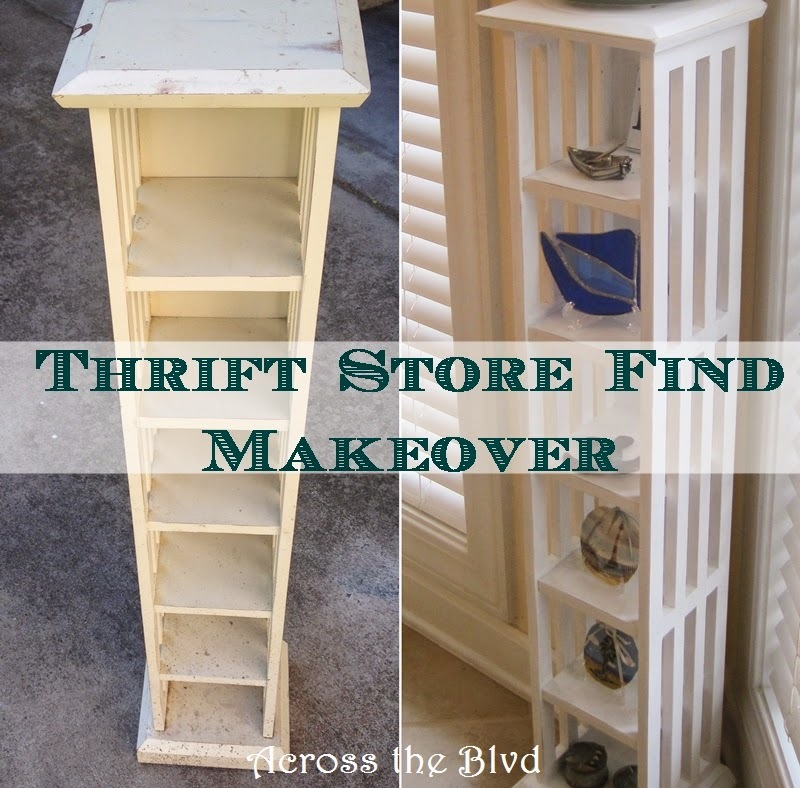 . .
After trying DIY chalk paint for the first time and loving how easily it is to work with, I was ready to take on a project that was a little bit larger than the stenciled piece. But, I wasn't ready to use it on any furniture pieces I already own, so I made a trip to the local Goodwill Store. There . . . 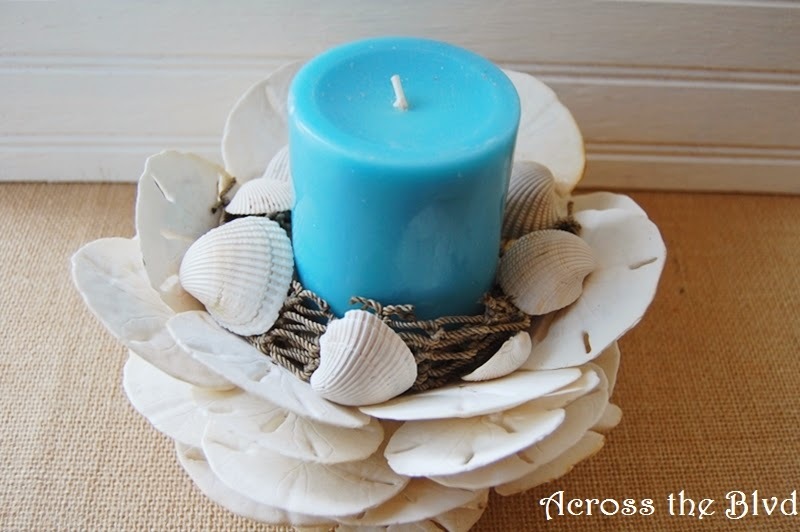 I recently saw a beautiful candle holder made using sea shells posted on Hometalk. Given my love for all things beachy, I had to check it out. The more I saw, the more I loved the idea. Emily at Table and Hearth gives a great tutorial on how she makes candle holders using oyster shells. She's . . .
With the dark colors of winter now in the rear view, it's time to bring some lighter decor pieces to my mantel. Whenever it's an in between holidays time, my typical mantel and fireplace decor always goes back to a coastal feel. Using a combination of elements, I turn the space into something . . . 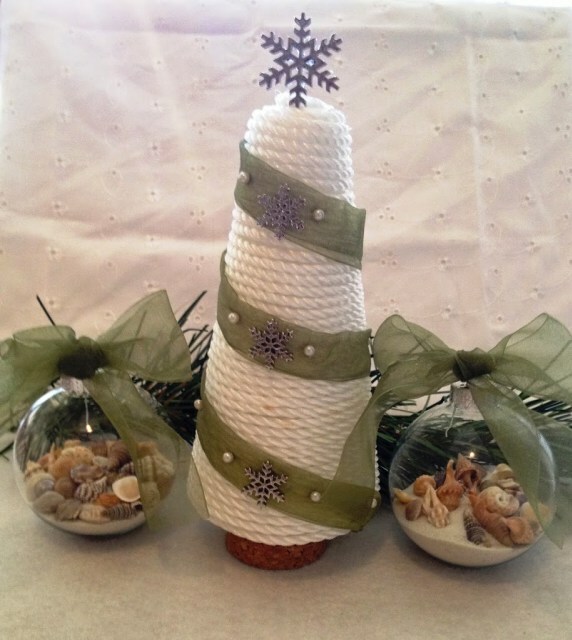 Combining the holidays with a coastal theme can be done in lots of ways, but you can't go wrong with adding a little Christmas jingle to sea shells. Placing those shells on a blue and silver sparkly deco mesh wreath brings the feel of a day at the beach to your Christmas decor. . . .
After redoing my powder room with a coastal decor this summer, I knew I was going to need something different for holiday decor this year for that space. In previous years I used gold and burgundy to match the colors, but this year I wanted to use soft greens and white. I decided to decorate a . . . I have a lot of coastal decor in my home and I wanted to add a little bit more to my kitchen counter. 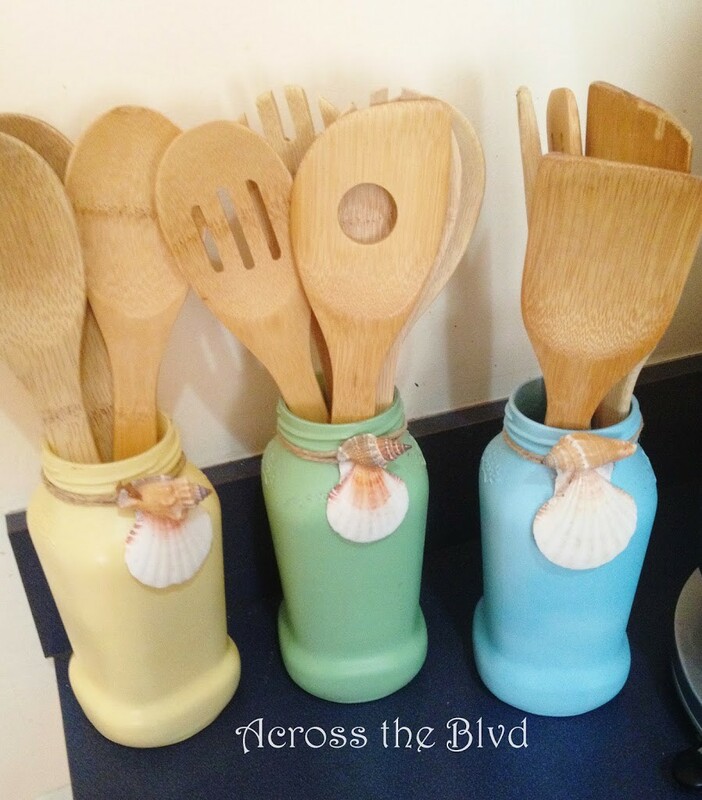 I decided a good way to do that would be to find something with coastal flair to hold my wooden utensils. I looked around in a few stores, but didn't find anything that really caught my . 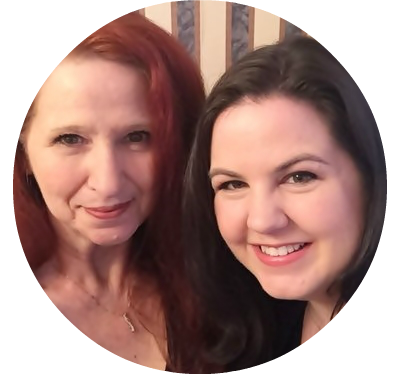 . .
From North of the Boulevard~ I've lived in my house for ten years and for every day of those years, I've thought, I really need to do something about the wallpaper in the powder room. When we bought the house, three things jumped out as needing to be changed right away: wallpaper in . . .